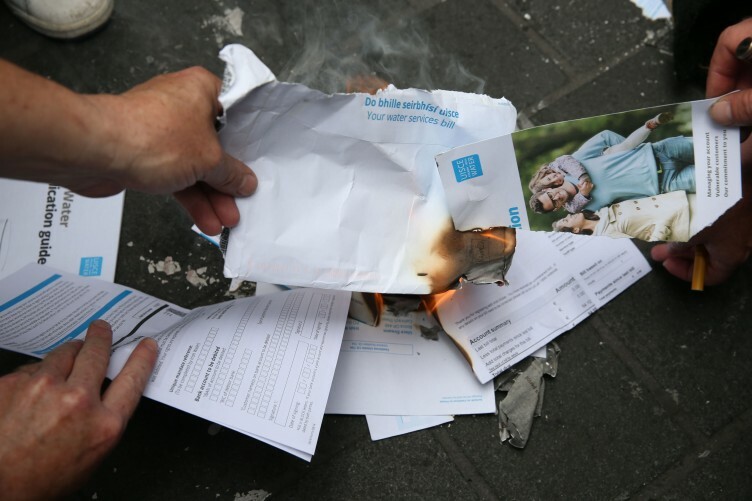 Householders are liable for water charges bills up to the end of March, Irish Water has said. The statement follows inquiries by one customer who received a bill on May 10th. Geraldine Hennessy said she was puzzled when she received a bill after the Government announced that water charges would be suspended for nine months. When she rang up Irish Water to inquire as to whether or not she should pay her bill, she was told that they had received “no formal directive” from the Government on the subject. Ms Hennessy, who lives in Donnybrook in Dublin, said she had paid all her water bills to date and was prepared to pay the latest one, which was €40 for the first quarter of 2016. “I don’t have a problem paying for my water. It is an investment really to upgrade the system, but I don’t want to pay Irish Water €40 only to be told a week later that water rates are gone. Suspension to end of March. A spokeswoman for Irish Water said the Government announced the suspension of water charges with effect from the end of March 2016, but charges apply up to that time. The spokeswoman said: “Irish Water is currently issuing bills to customers for services provided in January, February and March of this year. Billing will be completed in the first week in June. On Friday last, Moody’s upgraded Ireland back to an “A” grade, moving the sovereign by one notch to A3 from Baa1. As a result Ireland’s cost of borrowing fell to its lowest level in over a month on Monday after the ratings upgrade from Moody’s at the end of last week. Ireland’s 10-year yields fell below 0.77% for the first time since April 11th, down more than 3 basis points on the day. On Friday, Moody’s upgraded Ireland back to an “A” grade, moving the sovereign by one notch to A3 from Baa1. 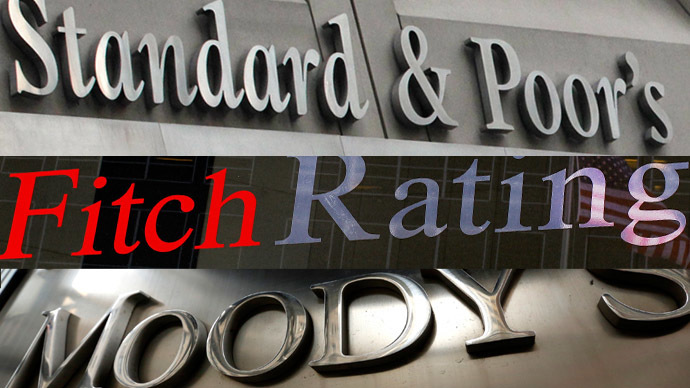 However, rating agencies S&P and Fitch continue to rate Ireland higher, with S&P’s A+ and Fitch’s A rating two notches and one notch respectively above their Moody’s equivalent following the upgrade. Philip O’Sullivan, an economist with Investec in Dublin, said on Monday that the move “bolsters the already positive case for Irish sovereign yields”. “We expect to see Irish yields move further towards core Eurozone levels from here,” he said. Cantor Fitzgerald’s head of fixed-income strategy in Ireland, Ryan McGrath, said he was “happy to have been proved wrong” with Moody’s surprise upgrade. He was among eight out of 11 economists and analysts polled by the Irish Times who predicted before the announcement on Friday that Moody’s would hold off upgrading Ireland amid concerns over the UK’s referendum next month over EU membership. “The upgrade was long overdue, as it was almost two years since Moody’s last Irish sovereign upgrade,” said Mr Ryan, nothing that while the ratings firm has narrowed the gap with rivals, it still lags Standard & Poor’s, which rates Ireland A+, and Fitch, which has an A stance on the country. While German 10-year bond yields flirted once more with record lows of just 0.05%, on Monday they were yielding about 0.12% and French 10-year bonds are yielding about 0.47%. Yields on Spanish, Italian and Portuguese 10-year bonds remain above 1%. The Irish naval vessel LÉ Róisín rescued 125 migrants in an operation in the Mediterranean on Monday. 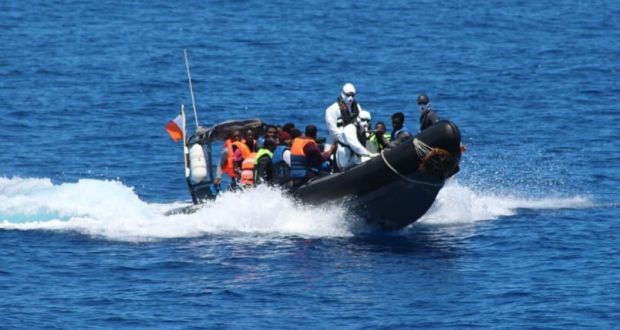 The ship rescued the 107 men and 18 women from a rubber craft about 40 nautical miles northeast of Tripoli, Libya, following a request from the Italian Maritime Rescue Co-Ordination Centre. A Defence Forces statement said the operation began at 10.47am and finished at 2.45pm. The rescued migrants are currently receiving food, water and medical treatment. The LÉ Róisín departed Haulbowline, Co Cork, on May 1st to join humanitarian search and rescue operations in the Mediterranean as part of a bilateral agreement with Italy. The vessel is the fourth Naval Service patrol ship to engage in operations in the region since May of last year, following the LÉ Eithne, LÉ Niamh and LÉ Samuel Beckett. It is one of three naval ships that will be sent this year on 12-week rotations. Last year, some 8,592 migrants and refugees were rescued by Irish Naval Service vessels. More than 700 migrants and refugees have died already this year attempting to cross into Europe via the Mediterranean, according to the International Organisation for Migration. This is a 50% increase on the same period last year. The Irish Government plans to target a 5% reduction in the average weight of Irish people over the next 10 years. Irish people face a new round of belt-tightening with Government plans to target a 5% reduction in our average weight over the next decade. Disadvantaged areas will be encouraged to shed the most as the plan aims to reduce the gap in obesity levels between the richest and poorest sections of society by 10%. The national obesity strategy, expected before Cabinet soon, aims to ensure Ireland does not become the fattest country in Europe, as predicted in international studies. Implementation of the “A Healthy Weight for Ireland” strategy was identified as a health priority in the programme for government. A similar target has been set for reducing excess weight in children. These overall targets will be reviewed every two years to take account of evidence on the likely impact of specific interventions to reduce obesity. The way to achieve these objectives are set out as “Ten Steps Forward” in the plan. These envisage a sugar levy this year as well as a “whole school” approach to health. Legislation requiring food establishments to post the calorie content of their meals is also planned for this year. Other priorities include agreements with the food industry on reducing fat, sugar and salt in their products, and a code of practice for food and drink marketing. Groups who need most support will be prioritised with an emphasis on families and children in the first 1,000 days of life. 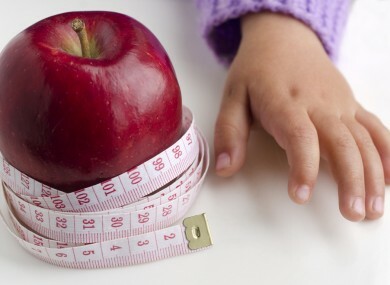 One in four children, and six in 10 adults, are obese or overweight. The real reason why you need to use your mobile phone ‘Flight Mode’ on airplanes? Each time we take a flight and are asked to switch our phones to ‘Flight Mode,’ we assume it’s because leaving it on normal mode would cause the plane to break in half and plunge us to our watery death below. Well, that’s not the case at all? According to indy100, the reason it’s important to switch off your phone signal is a lot more banal than we thought. It could cause the pilot to get a headache. 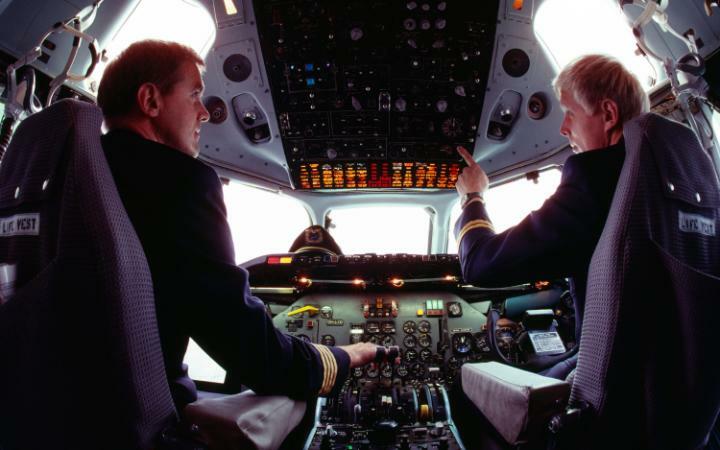 An anonymous pilot told the question and answer site Quora: ‘You may have heard that unpleasant noise from an audio system, that occasionally happens when a mobile phone is nearby. You probably know the sound he’s talking about – next time you’re beside a radio, put your phone next to it and get someone to call you. You’ll hear a buzzing noise that only goes away when the phone stops ringing. Now, imagine that at 10,000 feet in your headphones while you’re trying to get clearance for landing. A great white shark swims near Guadalupe Island off the coast of Mexico. The most powerful proton conductor in the natural world is a weird, jelly-like substance that lives inside a shark’s head. That’s according to a study published Friday in the journal Science Advances, which found that the material that makes up electricity-sensing shark organs called the ampullae of Lorenzini is almost as conductive as some of the most high-tech materials made by man. Ampullae of Lorenzini were discovered in sharks more than 300 years ago — the sensory organs get their weird name from the 17th-century Italian doctor who first identified them — but scientists didn’t begin to understand what they were for until the past few decades. Now, it’s clear that the dense networks of jelly-filled canals in the heads of sharks, rays and other cartilaginous fish end in highly sensitive electroreceptors, capable of sensing electric signals from miles away. With every twitch of muscle and flick of a fin, animals in the ocean — including humans — emit a faint electric field, and the ampullae help sharks detect that motion as they swim in search of food. It’s a pretty neat trick, but scientists still aren’t sure how sharks do it. So they’ve been dissecting the ampullae of Lorenzini — AoL for short — to try to figure out what’s going on. Researcher Marco Rolandi zeroed in on the jelly that fills the long tubes connecting sharks’ electro-sensitive cells to pores on their skin. He found that it is the best biological material yet for conducting positively charged hydrogen atoms, which scientists call protons. This conductivity allows the electric charge to flow easily from one end of the tube to the other. Other known natural proton conductors, like a protein found in squid skin and the pigment melanin in humans, are not nearly as strong. The AoL jelly’s conductivity was not that much lower than that of Nafion, a state-of-the-art synthetic material used in things like batteries and fuel cells. Understanding how the jelly works could help researchers who are trying to build better versions of those technologies. “Given that Nafion is a very carefully prepared material that’s very precisely made, it was interesting to see the shark had replicated something very close to that material just by nature,” said co-author Erik Josberger, a PhD candidate in electrical engineering who worked in Rolandi’s lab at the University of Washington. Rolandi, now an associate professor of electrical engineering at the University of California at Santa Cruz, said it’s not clear what role the AoL’s proton conductivity plays in sharks’ electric sensing. It’s possible that the conductivity somehow boosts or preserves electric signals, but it could also have evolved out of a fluke. Until scientists investigate it further, it’s impossible to know for sure. This entry was posted in Business, Health, Politics, Science and tagged Calorie Legislation, Cost of funding, Flight phone mode, Healthy Weight for Ireland, Irish Water, LÉ Róisín Ireland, life saving, Moody's, obesity crisis, Reduction, Rescue success, Sharks, Water bills. Bookmark the permalink. My Blog is a daily update of the main news items, topics of the day some local stories as well as national.